Through audio conferencing, business professionals have the capability of attending a business meeting in London at 9 am, in Tokyo at 12 pm, and Buenos Aires at 2 pm all in the same day. Not only is it time-efficient, it is especially cost-efficient. Companies no longer have to allocate large amounts of money for travel expenditures. It is also a way to monitor employees as they will be meeting at the office itself, rather than traveling elsewhere. What is audio conferencing, you may ask? It is a way to communicate through telecommunication rather than face-to-face. This form of conferencing is typically held over the telephone or utilizes another telecommunication medium. The participants of the meeting will still be able to receive the information they need as well as ask questions without ever meeting in person. Since the technology is out there, it is something that many businesses should take advantage of. Through audio conferencing, one can do more in the 9am-5pm time slot since meetings will not last as long and more of them can be held over the course of one day. In the case of audio conferencing, there are options available in which the conference can be privately recorded exclusively to the participants through a private phone number that all parties call. This is one of the ways in which it stands out from a basic telephone line, which does not allow for easy recordings. This is especially helpful in meetings where you may want to reference back to a certain conversation at a later time. It also eliminates the need for extensive note taking because one could always refer back to the recorded conversations. Another great benefit of audio conferencing is that the maximum number of attendees is well beyond the amount that a telephone would allow for. A basic telephone line can hold a conference call of around only three people. Audio conferencing, on the other hand, can hold an infinite number of attendees in several different locations. Audio conferencing can similarly be utilized for internal meetings. Conference calls offer the chance for a large staff to participate or listen in, on a meeting. This may not have been capable before due to spatial restrictions and insufficient travel budgets. Likewise, when arranging face-to-face meetings and conferences it can become particularly difficult to assign a specific date and time in which all necessary participants are available to attend. Through audio conferencing, the President of the company can join the meeting even if he or she is at a different location than the Vice President. During a traditional face-to-face meeting, there are sometimes questions that need a specialist of the company to answer. 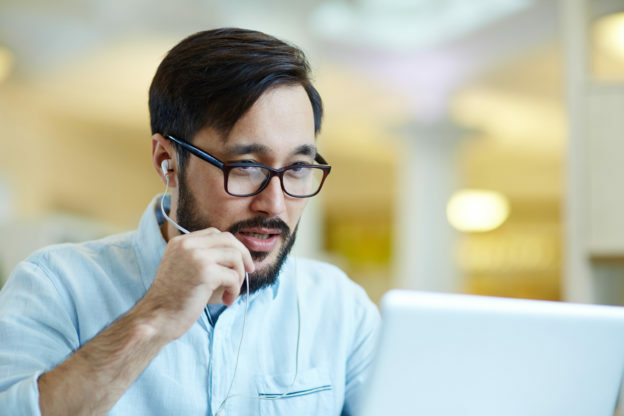 During an audio conference call, the staff of different departments can participate to offer their input on specific questions that a client may have. This can be especially beneficial to companies who use specialists in external companies or for employees that may be working from home. Audio conferencing allows for these meetings to be held in a way that is both beneficial and efficient. Overall, audio conferencing can be a great option to increase the ease of holding meetings with a large number of people regardless of location and time. It is truly an asset to any business and will continue to be particularly useful for years to come.